Recently, I was approached to serve as an expert witness by a New England immigration defense lawfirm working on an immigration case wherein the client was a victim of domestic violence from the Dominican Republic. They are creating a motion that their client is a refugee who was forced to leave her country fleeing the persecution of her abusive husband. If this case is successful, this battered woman will not be back in the deadly hands of her abuser in the Dominican Republic. This case would help to develop a legal precedent for many domestic violence victims as they seek to get away from the long arm of their abusive partners. Canada is helping to pave the way for domestic violence victims who emigrated there from the Dominican Republic. The Immigration and Refugee Board is Canada’s largest independent administrative tribunal. IRB is responsible for making well-reasoned decisions on immigration and refugee matters efficiently and fairly in accordance with the law. 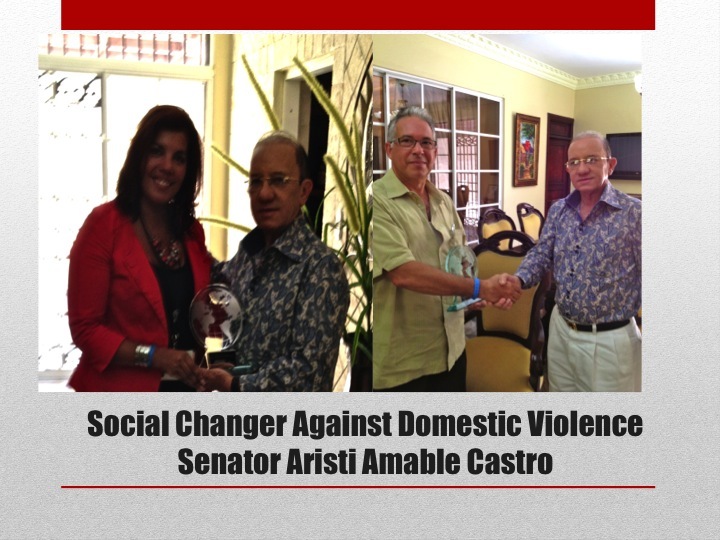 As such, IRB reported that the high incidence of domestic violence in the Dominican Republic is a serious concern. (IRB, 2015). Findings from their IRB research concluded that there were very limited resources for battered women in the Dominican Republic. Even though the Ministry of Women declared that there were safe havens and shelters for the women on the island, “Corroborating information could not be found among the sources consulted by the Research Directorate” (IRB, 2015). As I read these latest findings and prepared to testify, I am not surprised by Canada’s IRB research findings. A well-equipped tribunal is baffled by the rate of domestic violence on a small island in the Caribbean and they are scratching their heads wondering how this pervasive problem continues to grow on the island. As a field researcher with first hand knowledge of the bureacratic systems that hinder justice for the victims, I am determined to work with a team of advocates and researchers to ratify change for the victims of domestic violence. As an international researcher and humanitarian, I have served as the lead researcher commissioned by various international non-profit organizations to conduct research on issues related to domestic violence, female genital mutilation, child brides, abandoned orphans, and street children across various countries in Africa and Latin America. All of these tragic situations, which include the abuse of women and children, are sadly shrouded by the vicious cycle of national corruption, apathy, and an obvious lack of effective and efficient legal systems to protect the victims. The issue of domestic violence tugs at my heart. For the past 4 years, I have conducted in-depth studies as it relates to domestic violence. In my work, I have developed research proven strategies and economic empowering projects in the Dominican Republic that are gradually helping to inform policy and program structures regarding the epidemic rate of domestic violence in the Dominican Republic. The hope is that my international field research can assist in shedding light on the multifaceted and complex issues surrounding domestic violence as it relates to the victim, the abuser, and the children of battered women. Domestic violence exists for Dominican women across all economic strata. Research findings from my 2012-2015 field research with 793 women and public data from various prosecutors’ offices in Santiago, Bonao, and El Sonador revealed that only 12 percent of the women that were in an abusive relationship were able to remain free from their abusers. El Centro de Estudios Sociales y Demográficos affirmed that one in every three women in the Dominican Republic are victims of some form of domestic violence. As I conducted research in various provinces in the northern and southern region of the Dominican Republic, I met with various prosecutors and gathered data that is quite compelling. 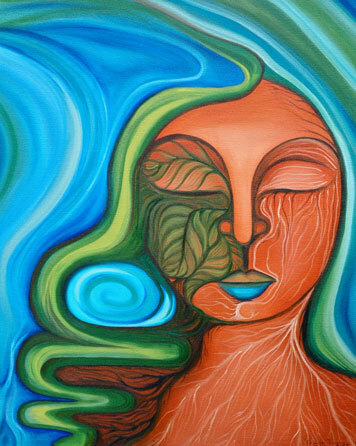 Likewise, a study by the Association of Women’s Rights in Development confirmed that many Dominican women face this lonely battle and are often victimized twice, by their abusers and by the judicial system created to protect them. From 2011-2015, over 100,000 complaints of violence against women were reported across 23 different towns and cities. Recently, official statistics from the capital’s Santo Domingo Public Prosecutor’s Office confirms that the alarming level of domestic violence continues. It was shared that approximately only 4% of the charges brought up against the perpetrators, actually attended legal trials. As a field researcher, I experienced first hand how the level of corruption within the Dominican Republic hinders the judicial process and ineffectual policies that were originally intended to protect the lives of battered women. 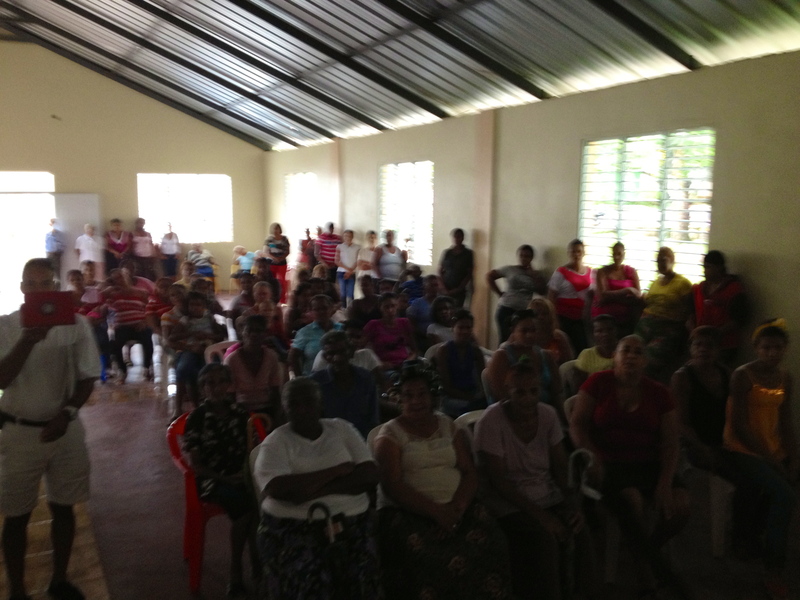 My research and collaborative work in the Dominican Republic with key governmental figures, community partners, and advocates helped me understand the high degree of corruption that is not facilitating the proper allocation of law enforcement resources to protect the lives of these women at risk. 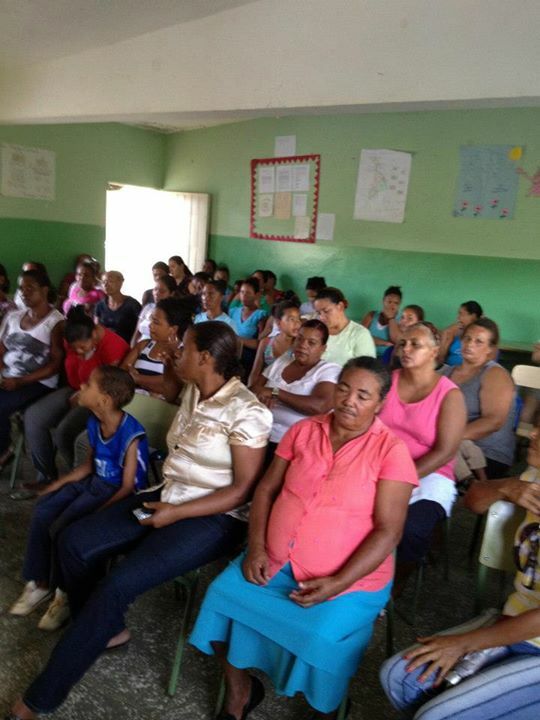 An investigation by the Inter-American Commission on Human Rights reveals that even though the 24-97 law was intended to promote major advances in the protection of women’s rights in this nation, many Dominican judges do not apply and enforce the law. This commission investigated the knowledge base of many judges and Public Ministry representatives and they were simply unaware of the extensive content of the approximately 20 year-old law. When I conducted my 2013 field research, many of the victims I interviewed made numerous references related to a local domestic violence case that truly had many of the research study participants petrified. The researcher Bueno (2013) described this domestic violence case in Santiago, Dominican Republic. It occurred on September 30, 2012 wherein Jonathan Torres stabbed his 33-year-old wife Miguelina Martinez fifty-two times in a beauty salon. Prior to this heinous crime, the victim Ms. Martinez went to the district attorney’s office eighteen times in the two weeks prior to her murder to report that because of her husband’s violent threats, the victim had to no choice but to leave her home. As a result, Jonathan Torres killed Miguelina Martinez because she no longer wanted to be with him. Ironically, the knife he used to kill the battered woman was hidden in a bouquet of roses. A few towns away from Santiago, Dominican Republic investigators Casado & Skewes (2012) gathered data obtained from record books of the Provincial Prosecutor and institutions that provided assistance to domestic violence victims. Casado & Skewes (2012) described the events of domestic violence in San Jose de Ocoa during 2008 through 2011 and they analyzed epidemiological variables within the municipality of San José de Ocoa. It was reported that 79% (345/439) of the affected women were between the ages of 15-49 years and 82% (360/439) of the attacks came from the male, being familiarly linked as partners. Another tragic byproduct of the domestic violent trend by the abusers is how it is negatively impacting the lives of the children in the families where domestic violence exists. When children witness the violent abuse of their mothers, there is a strong chance that they will either become victims or abusers in their adulthood. In my research conducting focus groups and private interviews with families, many of the women that were battered had mothers and grandmothers that were in abusive relationships. Similarly, many of the men described as abusers had witnessed their fathers physically, mentally, and emotionally abusing their mothers. When a son witnessed his father hitting his mother, there was a strong likelihood that they would try to take similar measures in exercising power in their relationship with their battered wife or partner. In conclusion, the topic of domestic violence is very close to my heart. As the only surviving daughter of a battered Latina, I witnessed how my mother Maria suffered for 25 years as a victim of domestic violence. My mother was finally able to break away from her abuser. But not too long after finally being free, she lost her battle with cancer in 2012. Her freedom from her abuser was short-lived. Therefore as a tribute to my beloved mother’s legacy, I continue to investigate and help change the lives of battered women. It is important to empower women to break the cycle of domestic violence. Acknowledgement: I want to thank Carla Marie who serves as my research intern. She is a senior and a Human Rights undergraduate student at Columbia University helping to improve the quality of life for women and children. Two years ago I was blessed to have this Latina scholar approach me about doing research centered on domestic violence in the Dominican Republic. Ever since that fateful moment, I am proud to serve as her mentor and friend. I can’t wait to see how the next generation of Latina researchers continues the quest to eradicate domestic violence in the Dominican Republic. In addition, I would like to thank Councilman Victor Manuel Batista of El Sonador and his beautiful community for being of service to this cause. 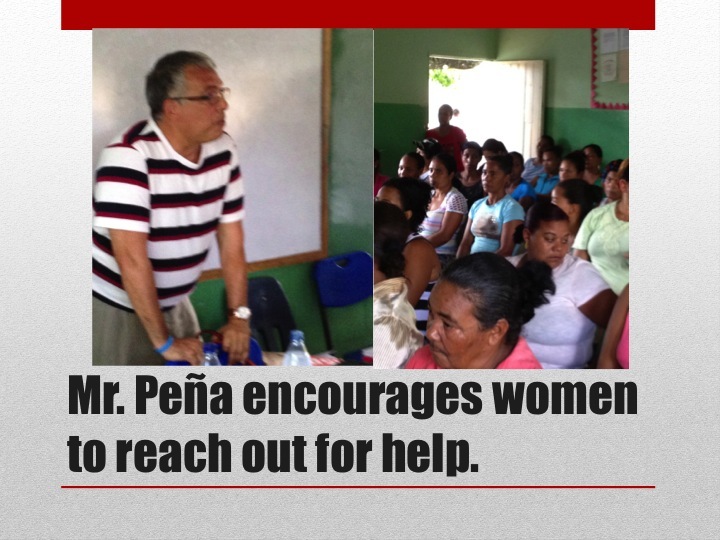 Mr. Batista’s tremendous support made it possible to inform and mobilize study participants, organize the women conferences, and reach out to community leaders and advocates. Thank you so much for all you do to help the beautiful women of your “pueblo”. After an arduous research trip spanning one corner of the coast of Rabat, Morocco…to the interior Saharan desert lands of Merzouga, Morocco…this humanitarian researcher had her hands quite full of rich data. 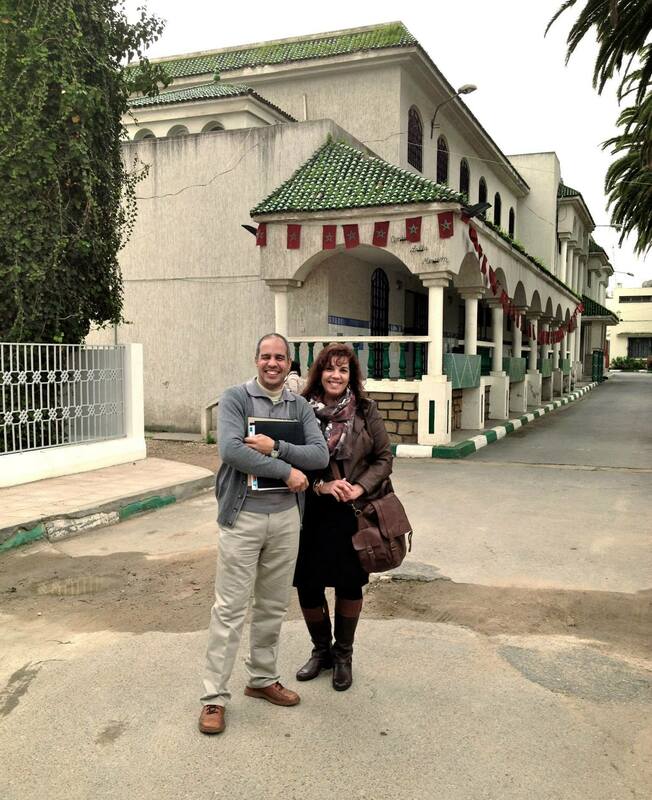 Her mission was to conduct field research examining the plight of abandoned and orphaned children of Morocco. After that trip, Dr. Caban-Vazquez received an enthusiastic and well-meaning call from a lifetime friend Madeline Garcia. Her friend was eager to learn the details of the researcher’s most recent trip. Moreover, Madeline wanted to share some OTHER compelling news about an organization that she learned about which was helping orphans and street children…but it was in Guatemala. Upon receiving the call, Dr. Caban-Vazquez halfheartedly sighed, took a deep breath, and she quietly asked God for strength to respond to her friend’s request. Moments after receiving that predestined call; the humanitarian researcher learned about the grassroots organization Proyecto Mi Hogar, Inc. and the organization’s founder Joe Negrón. As she watched a YouTube video (forwarded during the call) the researcher was moved to tears and her heart was awakened by the urgent call to serve displaced orphans and street children in Guatemala. The rest as they say is history— Little did she know that she was on the brink of a blessed humanitarian quest to support this NGO that works tirelessly to serve these forgotten children. 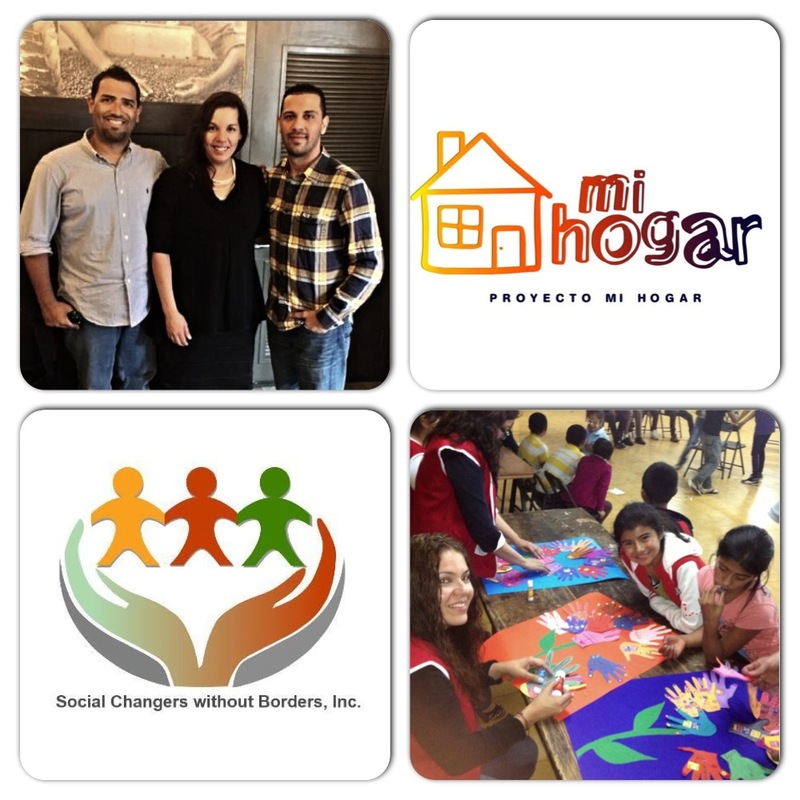 Immediately upon viewing the Proyecto Mi Hogar’s promotional video, Ms. Garcia and the lead researcher were compelled to reach out to the director of this nonprofit organization to ask in what way they could be of service to this noteworthy cause. 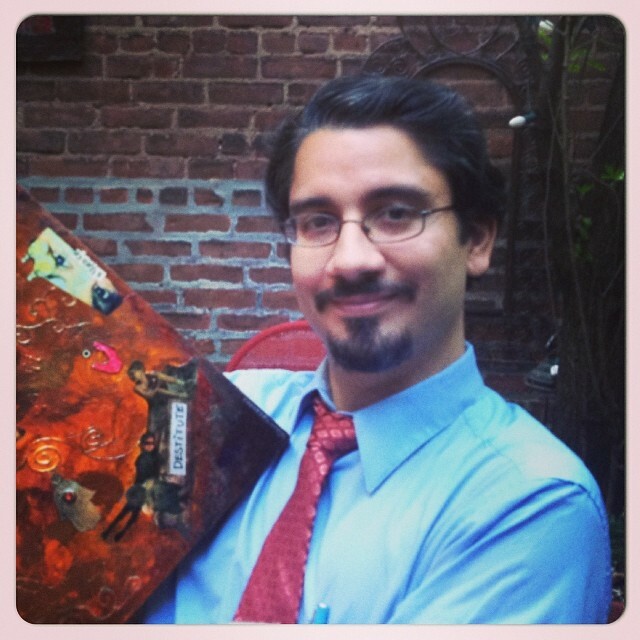 When they spoke with Mr. Negrón, they learned about the co-founders humble altruistic ways. 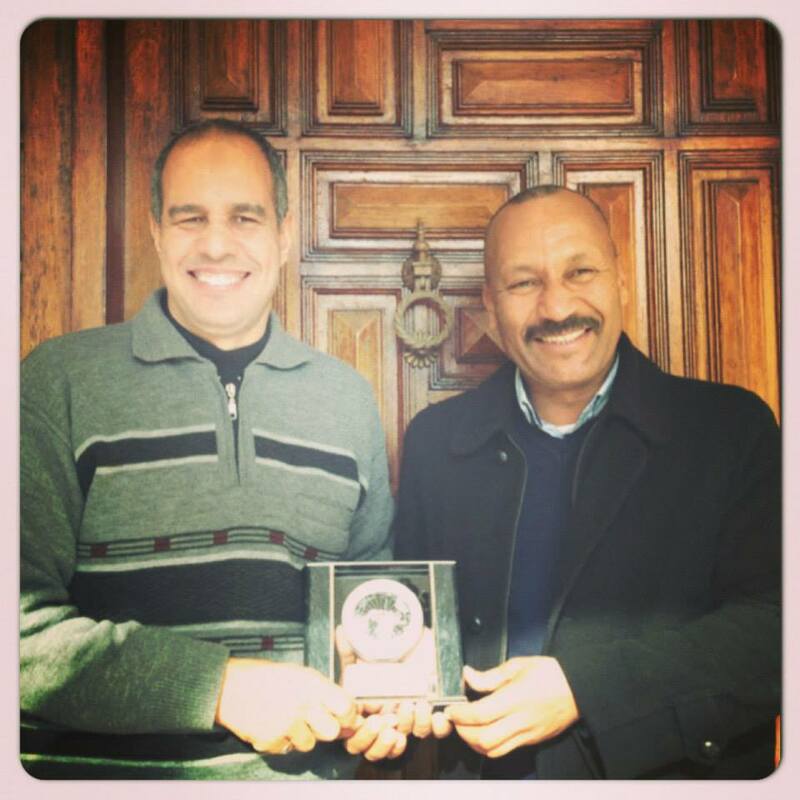 They listened, as Mr. Negrón nobly and modestly shared how he was not solely responsible for Proyecto Mi Hogar’s impact. Joe declared that he did not do this humanitarian work alone. Alongside Joe Negrón, they discovered that there was a dynamic team of generous hearts and compassionate guardian angels that make his work possible in Guatemala. Upon learning about (a) this humanitarian’s quest; (b) the inception of Proyecto Mi Hogar’s mission; and (c) how this grassroots organization mobilized, rallied, and leaned on a core group of volunteers, sponsors, and a diverse body of supporters; Dr. Caban-Vazquez was extremely impressed and compelled to explore ways that she could make a lasting contribution for PMH. It personally reminded the research-practitioner of the program evaluation that she conducted for a grassroots organization serving an indigenous population of Kenyan Maasai child brides located in the remote Rift Valley. This program evaluation was commissioned by the advocacy humanitarian organization Equality Now, Inc. and conducted by the research organization Social Changers without Borders. As such, they dispatched the aforementioned researcher to conduct a program evaluation to take inventory of the progressive and innovative ways that a local organization worked to save child brides from the horrific practice of female genital mutilation. Ironically the researcher made the profound research connection that many of the effective and research-based strategies that Mr. Negrón spoke about actually aligned quite well with the research proven strategies that Dr. Caban-Vazquez witnessed and evaluated for the UN endorsed and sponsored Kenyan organization. Both NGO’s showed great promise and potential but more importantly they demonstrated evidence that they directly impacted the lives of vulnerable children. The fundamental bottom line was that both of these aforesaid NGOs helped to promote sustainable positive change that significantly impacted the lives of so many at risk and vulnerable children. The only difference between this notable organizations was that one was in Africa with sustainable streams of UN endorsed grants and sponsorship, and Proyecto Mi Hogar was on the field in Guatemala creating a wider range of impacting programs with extremely limited funding and regrettably without an large UN or international endorsed financial or technical support. Dr. Caban-Vazquez wondered if given a program evaluation measuring this new grassroots organization operational and program effectiveness, would the SWOT (Strengths, Weaknesses, Opportunities & Threats) matrix look similar? Does Proyecto Mi Hogar’s NGO leadership have great promise and potential for replicating their efforts to a larger frontier in Guatemala? What would be the largest impact that this organization can make to the current plight of Guatemalan street children and orphans? How could their effective and research proven organizational practices help to inform Guatemalan public policy that could ratify positive social change? How could Proyecto Mi Hogar’s efforts help inform empirical research on a global phenomena that unfortunately is endangering the lives of so many disadvantaged children around the world? The only way to fully examine and reach a conclusion on these aforementioned questions would be to investigate and conduct a formal review of the organization. Upon making this personal connection, Dr. Caban-Vazquez was inspired to make a lasting contribution to Mr. Negrón and his team of change agents. She offered to conduct a pro-bono program evaluation of Proyecto Mi Hogar, with the goal that Mr. Negrón and his team could take inventory of their best practices, and examine a larger set of research-based intervention strategies that could better serve this at risk population of displaced street children and orphans in Guatemala. 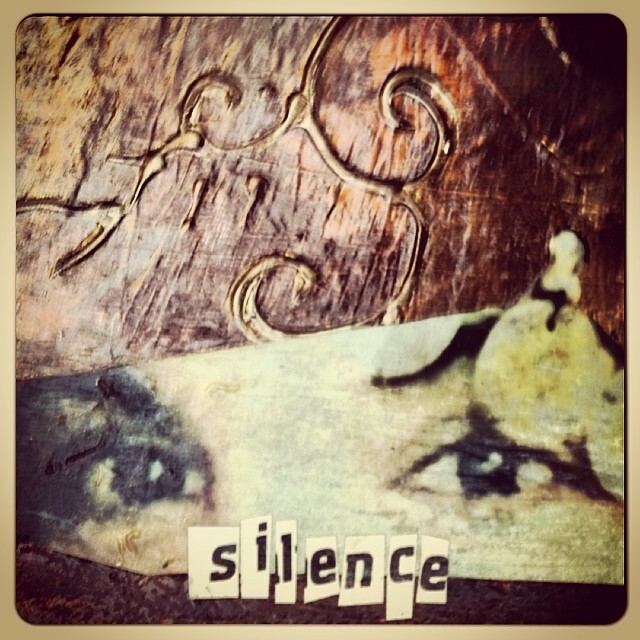 NO MORE SILENCE! 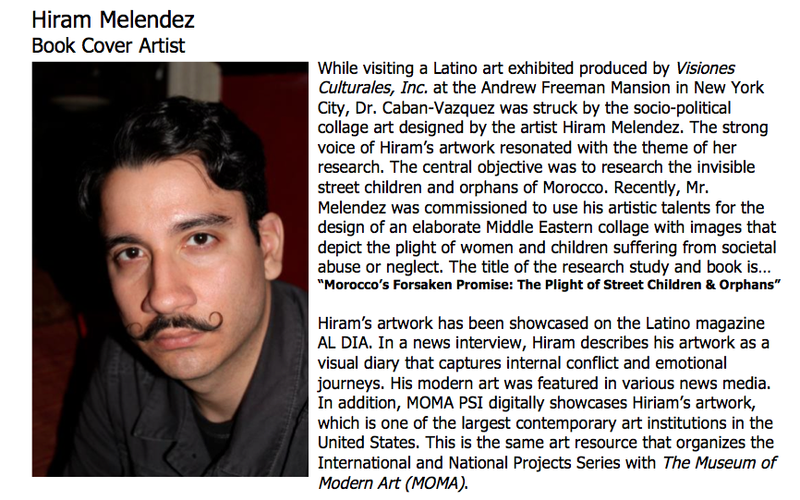 A snap shot of a small corner of the book cover artwork that I commissioned Hiram Melendez to do for my research on Moroccan Street Children. 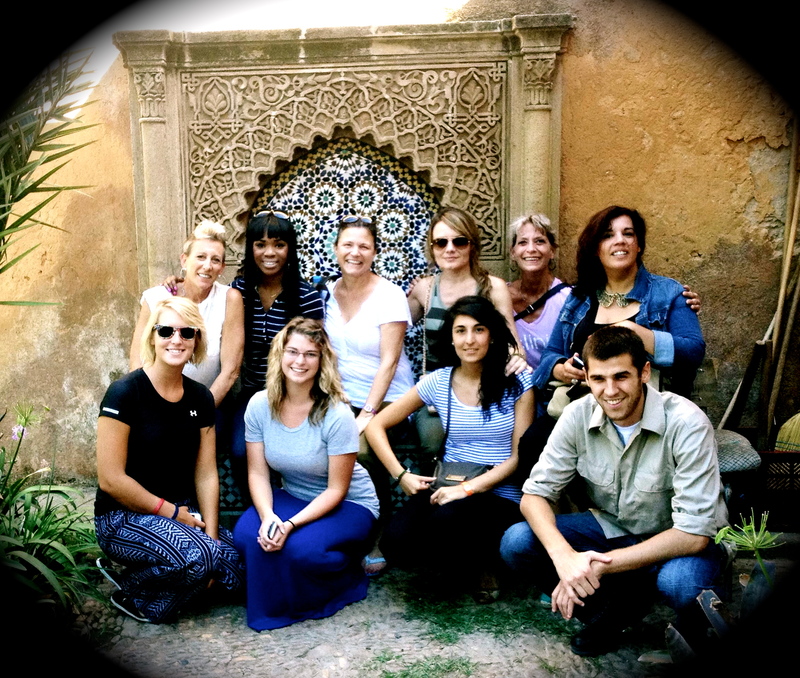 In the Fall of 2013 and the Spring of 2014, I had the great pleasure of collaborating with several Moroccan humanitarians that joined me in my quest for examining the plight of Moroccan street children and orphans. As strong advocates of women and children, we joined our public-spirited gifts to collaboratively research and share effective community-based and international humanitarian strategies. The goal is to publish research-proven strategies that make a significant impact for improving the quality of lives for these impoverished children. With the support of SOCIAL CHANGERS WITHOUT BORDERS, INC as well as several NGO’s and private sponsors, I will continue to examine the complex issues related to the abuse and tragic circumstances that Moroccan street children face as victims of child labor and sexual trafficking. As a humanitarian advocacy researcher, Dr. Caban-Vazquez’s vision was to further explore the international phenomena of the invisible and forgotten children of the world—abandoned orphans and street children. The issue of street children first came to her attention when she traveled as an educational reform delegate with a professional organization, The People to People Ambassador Program. It became quite apparent when she traveled to different parts of Egypt that there were many children in the streets either working or begging from tourists. Her observations helped her conclude that Egyptian street children were generally viewed as delinquents and a plague that should be treated with detention or jailing. Further examination revealed that Egyptian government legislation and policy towards street children was primarily punitive (Ali, 2006). After witnessing a child getting physically abused in a market in Giza, this researcher-practitioner was emotionally drawn into this societal issue. She wondered why these children were unseen and did not have a voice. She wondered why it seemed like these forgotten souls were not valued and viewed as illegitimate members of their local society. After that unsettling experience, she longed to go back to an African and Arabic speaking country to explore this issue further. In July 2013, Dr. Caban-Vazquez had the honor of serving as an international volunteer for a non-governmental organization (NGO) that offered various volunteering opportunities in developing nations throughout Asia, Africa, and South America. Her number one choice was to travel to Rabat, Morocco. It was the perfect fit! There she worked with the NGO’s international team of volunteers that offered educational and social service support to grassroots organizations directly helping orphans and street children. In Rabat, Morocco this researcher’s heart was transformed by the tender moments she shared with the sick children that she served in a local hospital. Many of her fellow international volunteers were assigned to work at two local orphanages. In their home base, they shared their moving stories about serving these forgotten children. Furthermore, she was touched by the stories she heard from volunteers that tutored street children seeking educational experiences. While hearing their anecdotes, and observing how the compassionate international volunteers geared up for another day of dedicated service, Dr. Caban-Vazquez was inspired to formally launch an advocacy study centered on this societal problem. As a result, she reached out to several Moroccan citizens and compassionate souls who were eager to help her on her research journey. 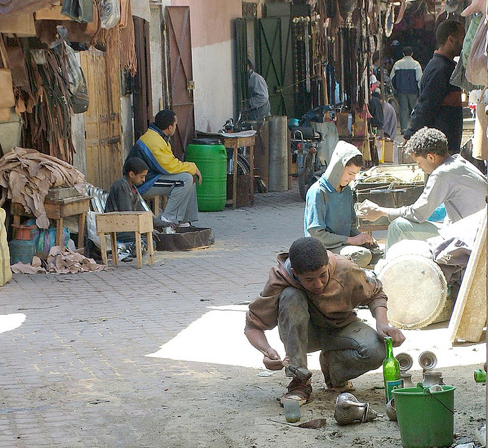 Through this unique research collaboration, they helped to raise awareness about Morocco’s societal problem of abandoned street children and orphans. 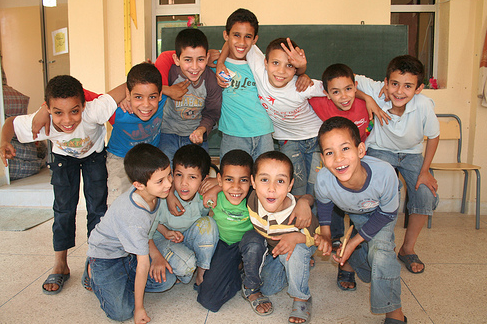 In 2011, the Child Rights Governance Programme (2011) offered statistical findings that shed some light on the plight of Moroccan orphans and street children. Moreover, it captured the limited impact that recent initiatives are having on this marginalized population. 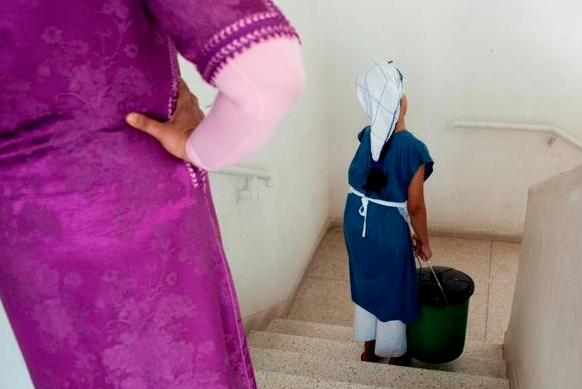 Despite Morocco’s implementation of the UN Convention on the Rights of Children in 1993 and the New Code of Criminal Procedure in 2002, there are approximately 46,500 Moroccan children deprived of a home environment (Child Rights Governance Programme, 2011,p. 41). However, it seems that the true number of orphans is not fully and/or publicly disclosed. 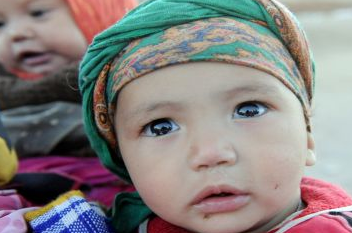 In various regional and national news press articles, the numbers are quoted as lower and closer to an estimated 30,000 abandoned children registered as orphans in the Kingdom of Morocco (World Health Organization, 2009). Likewise, it is quite challenging to find the exact figure of Moroccan street children as per documented by local and government officials. The State Secretariat for Children, Women, and Family acknowledged the difficulty of reporting the exact figures and attributes it to the children’s mobility as they travel within a city and/or region (UNICEF 2010). Despite several Moroccan initiatives to address this issue through public policy, the high rate of increased numbers of orphans and street children is a symptom of underlying societal issues related to this phenomenon (Moroccan American Center for Policy, 2012). 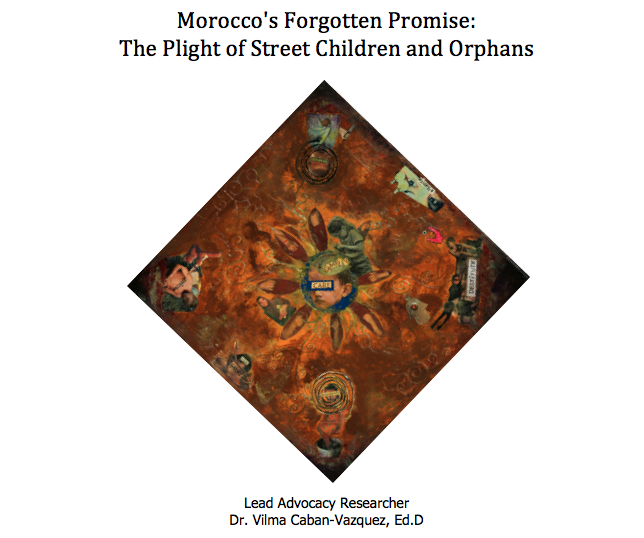 A broader examination of the body of professional literature revealed that in the past 20 years, the issue of Moroccan orphans and street children continues to grow exponentially. It is negatively impacting not only the lives of those forgotten children, but also the economic prosperity of this nation. A country’s future lies in its next generation of citizens. If a large portion of the citizenry is not positively active and serving as contributing members of that nation, the trajectory of that nation’s potential is highly compromised (United Nations Development Project, 2009). Recent research findings by worldwide advocacy organizations report that the significant level of apathy and indifference directed towards street children and orphans, coupled with the sexual predatory and child labor risks that these children face, can further compromise the economic vitality of this nation (WHO, 2010; International Society for Prevention of Child Abuse and Neglect-ISPCAN, 2006; Human Rights Watch, 2005; United Nations Human Rights Council, 2013). In summary, the rationale for conducting this humanitarian advocacy study is to develop a published resource that can provide greater insight for grassroots organizations serving this marginalized population. The following definitions of key terms are associated with the local phenomenon of Moroccan abandoned orphans and street children. Child Maids/ Domestic Servants: According to the International Labour Organization (2013) child domestic work performed by ‘child maids’ or ‘domestic servants’ is a general reference for children that work in the domestic work sector. It is usually in the home of a third party or employer. The concept of a child maid encapsulates both permissible as well as impermissible situations wherein girls work on domestic duties for an employer outside of the home. This phenomenon is often hidden and hard to tackle because of its links to social and cultural patterns. In many countries, child domestic labor is not only socially and culturally acceptable, but viewed in a positive light. In fact, it is most often a protected and non-stigmatized form of work. It is commonly preferred more than other forms of employment – especially for girls. The perpetuation of traditional female roles and responsibilities (within and outside the household) and the perception of domestic service as part of a woman’s apprenticeship for adulthood and marriage, contribute to the persistence of child domestic work as a form of child labor.” (ILO, 2013). NGO (Nongovernmental Organization): The United Nations expounds on the term NGO on it’s public information website entitled United Nations Rule of Law. It is defined as “…any non-profit, voluntary citizens’ group, which is organized on a local, national or international level. An NGO is task-oriented and driven by people with a common interest; NGOs perform a variety of service and humanitarian functions, bringing citizen concerns to Governments. They advocate and monitor policies and encourage political participation through provision of information. Some NGO’s are organized around specific issues, such as human rights, environment or health. They provide analysis and expertise; as well as serve as early warning mechanisms and help monitor and implement international agreements. Their relationship with offices and agencies of the United Nations system differs depending on their goals, their venue and the mandate of a particular institution” (2014). Orphan: The United Nations defines an orphan as a child who has lost one or both parents. “By this definition there were over 132 million orphans in sub-Saharan Africa, Asia, Latin America and the Caribbean in 2005. This large figure represents not only children who have lost both parents, but also those who have lost a father with a surviving mother, or have lost their mother but have a surviving father.” (UNICEF, 2013). 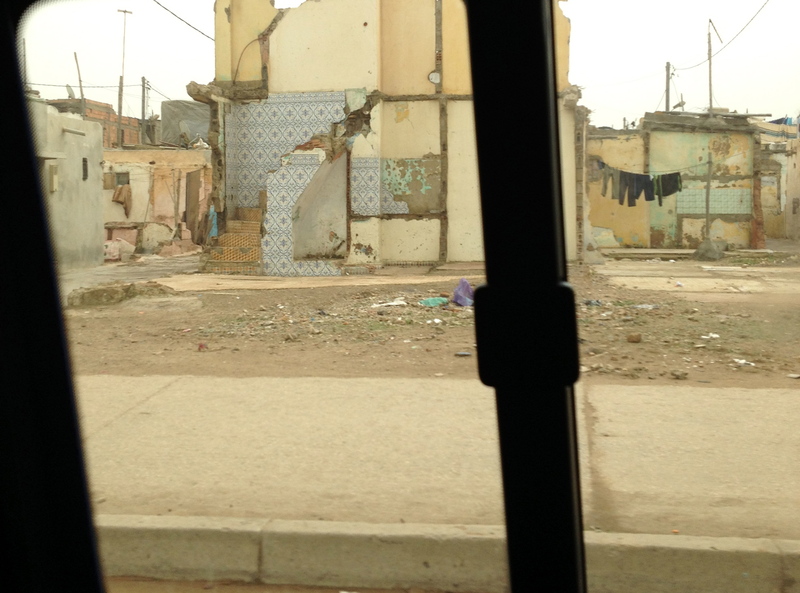 Many move between family member’s homes, the cruel streets, and a countless number of welfare shelters. Some street children are able to retain some strong links with their families, while others have broken or lost all contact. Likewise, ‘runaways’ in countries, such as the UK and USA, include children that may be described as ‘detached’, whereas those who live in underdeveloped countries would be considered ‘street children’ (CSC, 2013). As noted earlier, regardless of the enforcement and accountability measures established by international human rights organizations and government ministries, research findings suggest that many orphans and street children are still displaced and without adequate homes and protection. Consequently, this research project is designed to address this local problem. Our research team seeks to examine the leading causes that attribute to the high number of children living on the streets. Within the structure of a qualitative research study, the researchers seek to conduct an in-depth analysis by collecting and analyzing multiple forms of qualitative data centered on how local grassroots organization address the issues related to serving Moroccan orphans and street children. 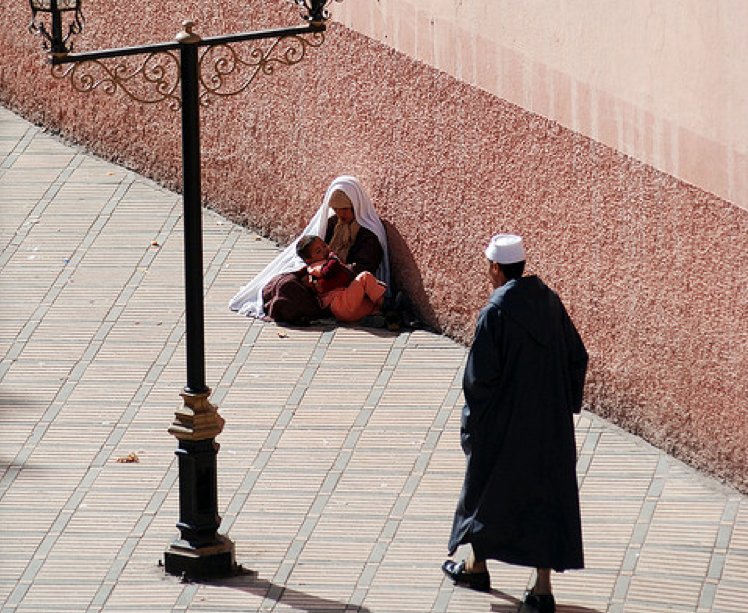 This qualitative advocacy study will explore issues related to the plight of Moroccan orphans and street children. After 20 years since the implementation of the United Nations Convention on the Rights of Children, humanitarian research findings show that the number of children affected by poverty and broken families continues to rise (World Bank, 2010a). Relevant empirical findings are needed to inform the decisions that shape policy and the implementation of child advocacy strategies. The societal factors and stigmas that shape the course for the increased rate of abandoned children by single mothers. Several pressures for older children to flee from their families and face life in the streets of Moroccan urban centers. A closer examination of research findings helped our research team gain a deeper understanding of the scale of this societal phenomenon. The sources for the literature review queries came from various peer-reviewed databases, which include ERIC, EBSCO, SAGE, and PROQUEST. The research team was able to access current and relevant full-texted copies of research findings related to Human Rights, International Human Rights initiatives, and Moroccan policy and mandates. Moreover, primary sources were available from various United Nations published reports across a broad span of human rights commissions and committees which included the United Nations International Emergency Fund (UNICEF), United Nations Development Project (UNDP), United Nations Human Rights Council (UNHRC) and other vital documents and publications from the United Nations Office of the High Commission of Human Rights (OHCHR). Secondary resources were used to further gauge general public opinions and perceptions regarding the status of Moroccan orphans and street children. Finally, numerous NGO executive reports were used to assess the aperture and depth of current intervention practices, and to gain insight on the implications for further research. This qualitative research team will conduct a phenomenological research study in which they will describe the “essence of human experiences concerning a phenomenon, as described by the participants of the study” (Creswell, 2003, p.15). The theoretical framework for this inquiry is based on a constructivist approach, wherein the researchers will position themselves to collect the participants’ experiences and understanding regarding their plight as street children and orphans in Morocco. They will study those participants’ constructs within the context of different situations and circumstances. The researchers will examine the different forces that shape their paths as they contend with life on the street, an orphanage, or transitional setting. Using a variety of qualitative data collection methods, the researchers will analyze and make interpretations based on the findings. Using an advocacy/participatory approach, the researcher-practitioners will engage the study participants as active collaborators to help inform and advance an action agenda for change (Creswell, 2003, p.11). As a result, this phenomenological research study will help the research team develop a broader understanding of the many interrelated issues that shape the plight of many Moroccan orphans and street children. Mohammed takes great pride in sharing about his humble journey. He is the proud son of his Moroccan parents and this truly helps him appreciate the simple pleasures of life. Although he grew up poor, he describes his Moroccan life with his family in Salé as a blessed life. However, there was a calling on Mohammed’s heart, to reach outside of Morocco and find a way to improve the quality of life for his parents’ and siblings. At this point in Mohammed’s journey, he deals with the emotional struggle of knowing his father continues to be very ill. However, with Mohammed’s work here, the family is able to pay for essential and expensive medical treatment and medication. Ultimately, this is the reason why Mohammed diligently works extended hours. Although life in the United States has not been easy, Mohammed remains steadfast and positive. In those still moments when he misses his family, Mohammed leans on the cultural links and traditions that remind him of home. 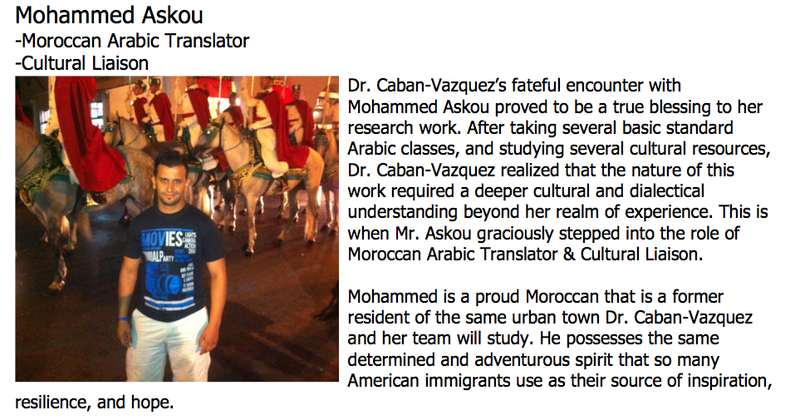 Mohammed looks forward to doing all he can to support Dr. Caban-Vazquez’s research efforts because he feels that it is a way to give back to his beautiful Moroccan community. Creswell J. W., & Plano Clark, V. L. (2007). Designing and conducting mixed methods research. Thousand Oaks, CA: Sage Publications. Creswell, J.W. (2003). Research design: Qualitative, quantitative, and mixed methods approach. 2nd ed. Thousand Oaks, CA: Sage. United Nations Development Project. (2009). 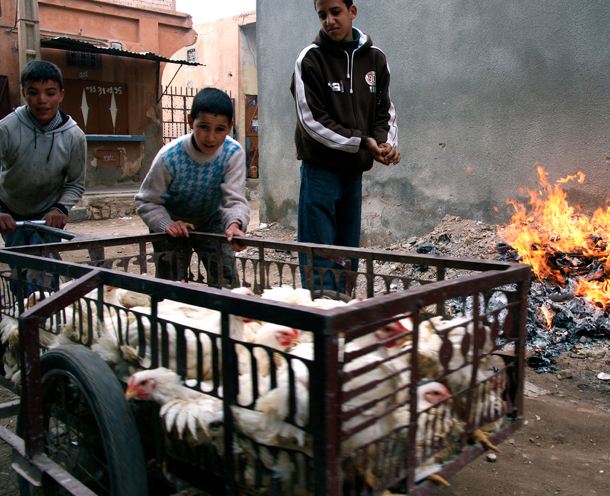 Human Development Report – Morocco. Retrieved from http://hdrstats.undp.org/en/countries_fact_sheets/ cty_fs_MAR.html. World Bank. (2010a). Data: Morocco. Retrieved from http://data.worldbank.org/ country/morocco. World Health Organization. (2009). Country cooperation strategy for WHO and Morocco 2008-2013. Retrieved from http://www.who.int/countryfocus/ cooperation_strategy/ccs_mar_en.pdf. As the only daughter of a battered Latina immigrant from Puerto Rico, I witnessed how my mother Maria suffered as a victim of Domestic Violence. Perhaps this is where I began fine-tuning my advocacy lens. It was in the midst of these turbulent moments where sparks took the form of my heart’s desire to share the urgent call for helping battered women. Regrettably, there are unsettling memories which at times tend to resurface. However, they activate this researcher’s deep set longing to examine the extent of how my mother Maria suffered. When I was young, my mother would urge me not to say anything and to keep “family problems”… PRIVATE. She would advise me that it’s best not get other people involved in your marital problems. As a result, Maria dealt with the conflicting pain of staying in an abusive relationship for the sake of her family and children. She carried this pain for over 25 years. This researcher had a tough secret to keep. I wondered how many other women and children actually walk around with haunting memories of domestic violence or “family problems” on their heavy hearts. In April 2012, right before my mother lost her battle with cancer, I vowed at my mother’s deathbed that I would use her story to… break the silence… and break the cycle of domestic violence. 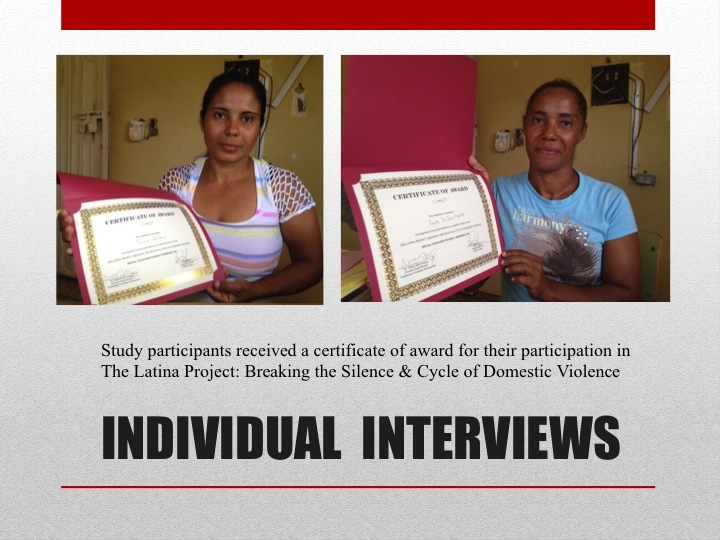 As an advocacy researcher, in the summer of 2012, I had the honor of launching my first domestic violence research study in the Dominican Republic. 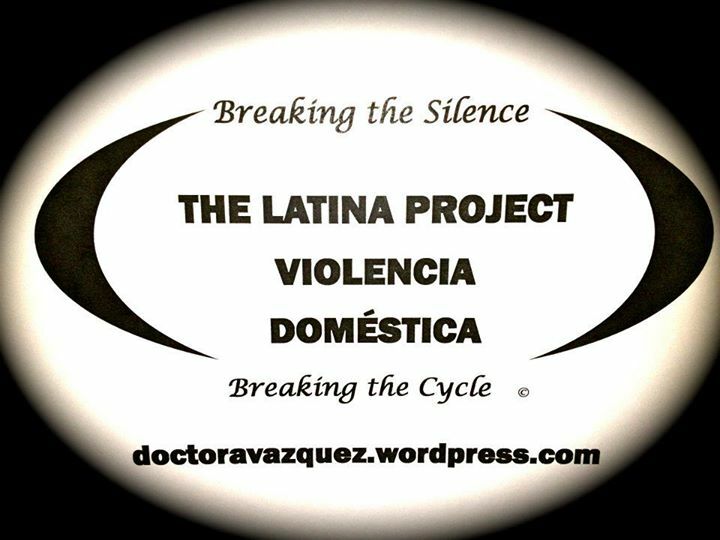 The Latina Project: Breaking the Silence…Breaking the Cycle . It was my way of establishing a research footprint on an elusive phenomena that maintains an emotional, spiritual, physical, and economic stranglehold on many Latino communites. 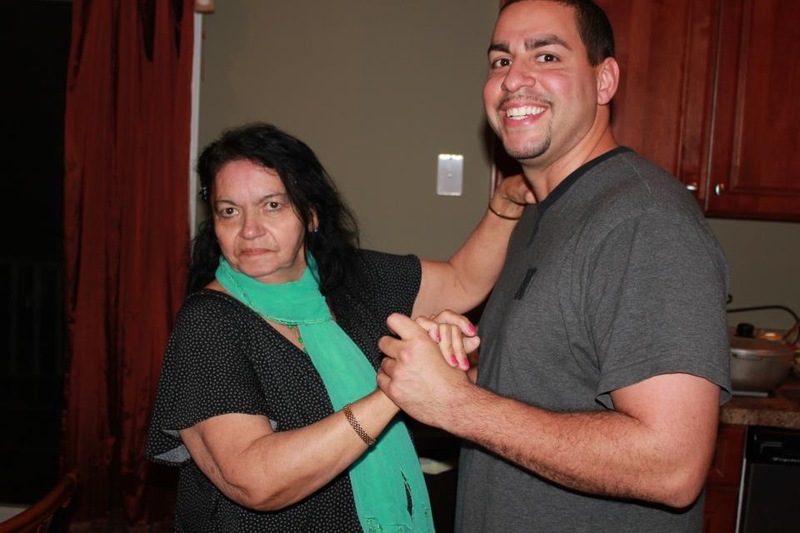 Initially, I was inclined to reach out to my mom’s hometown in Puerto Rico, but after much introspection, I realized that personally it was too soon to examine this challenging topic so painfully close to home. At this juncture, it was best to examine the broader issue of domestic violence. I recognized that it was important to widen the aperture of this obscure topic and gain a stronger understanding of the issues related to domestic violence in many Latino communities. Ultimately, this qualitative researcher elected to pursue a replicable course of study that could help her examine the underlying universal themes that are evident in domestic violence in Latino communities. I selected a Caribbean sister community not far away from Puerto Rico…it was Columbus’ first discovery… and symbolically it would serve as this researcher’s first discovery of domestic violence. It was the captivating country of the Dominican Republic. Based on the data collection and analysis methods discussed above, Dr. Caban-Vazquez was able to identify several re-occurring themes from the interviews. These central themes can be grouped into the following categories of participants’ needs: (a) economic factors, (b) women empowerment, (c) Victims’ patterns (d) social-emotional factors, and (e) raising community awareness. The majority of the battered women interviewed communicated their dire need for economic resources that would enable them to leave their abusive relationships. 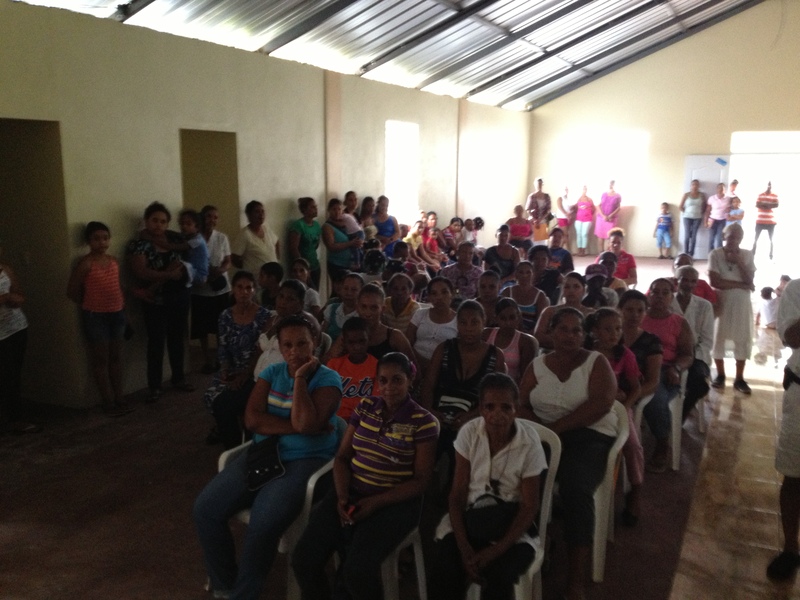 Many of the women expressed their desire to successfully seek and secure employment outside of Bonao. Upon further examination, employment opportunities are extremely limited in this rural community. Many women expressed that they choose to remain in their abusive relationship because they don’t want to disrupt their children’s education by moving away and not having any economic resources to ensure that their children attend school. They selflessly chose to stay so that their children could at least have a better chance of attending school. The majority of the local men are the sole financial providers of the home. In light of the economic situation in their rural communities, if the battered women resolved to leave their abusive partners, these women would financially struggle to purchase the costly school uniforms that their children are required to have to attend school. 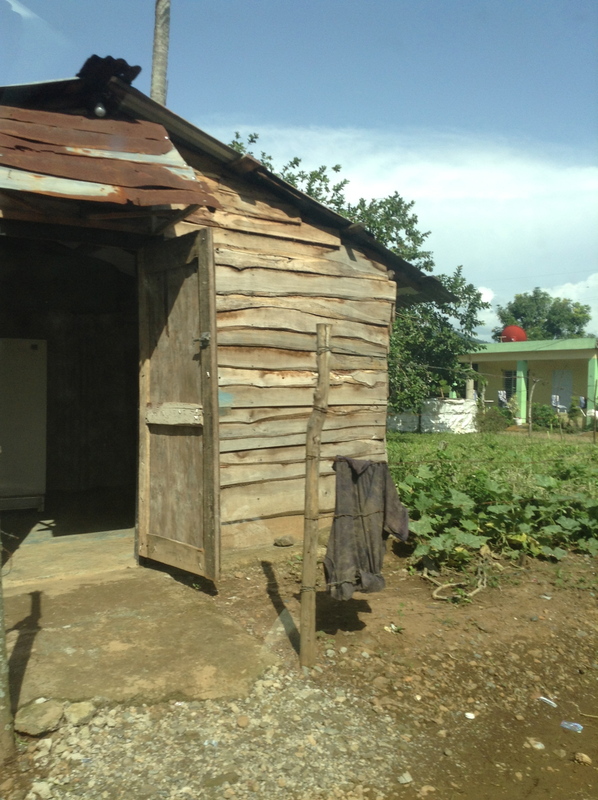 Many of the women hoped that there would be some form of career training available to the women of Bonao that would open some economic options. More than half of the research participants wish they had a women’s community center where they may attend more “chalas” or educational workshops. They believe that this community strategy would increase the awareness level about domestic violence in their community. Prior to Dr. Caban-Vazquez informational session about domestic violence laws with the participants, the majority of the battered women communicated in their interviews that they were not familiar with the Domestic Violence Law No. 24:97. Some women shared that if they knew where to go and get a legal advocate, they would feel more comfortable trying to leave their abusive partner. A closer examination revealed that less than 25 percent of the participants interviewed in multiple research forums were actually able to break free from their abusive partner. Regrettably, half of the women that broke free from the abuser eventually returned to their abusive partner. In view of this shift, only 12 percent of the study participants were able to remain away from their former abusive partner. The researcher realized that she would need to probe further and plan future focus group interviews and one-to-one interviews to better understand the complex social forces that were shaping the womens’ choice to come back to an abusive relationship. Focus group interviews (n=15) revealed that many of the women felt ashamed about their abusive situation. They expressed great difficulty about sharing their situation with other women in their community for fear of judgement. Others expressed that they believe one of the reasons why the community is tolerate of domestic violence may be due to the believe of a “man needs to be a man”. Some women shared that some people have expressed that if the men don’t behave this way and put their women in their place, then the women will get out of control. Several older women shared their belief that the cycle of domestic violence in their community continues to flourish. They discretely noted several of the young women in the town who are dating or engaged to an abusive boyfriend. These older battered women earnestly conveyed their concern for these young women. 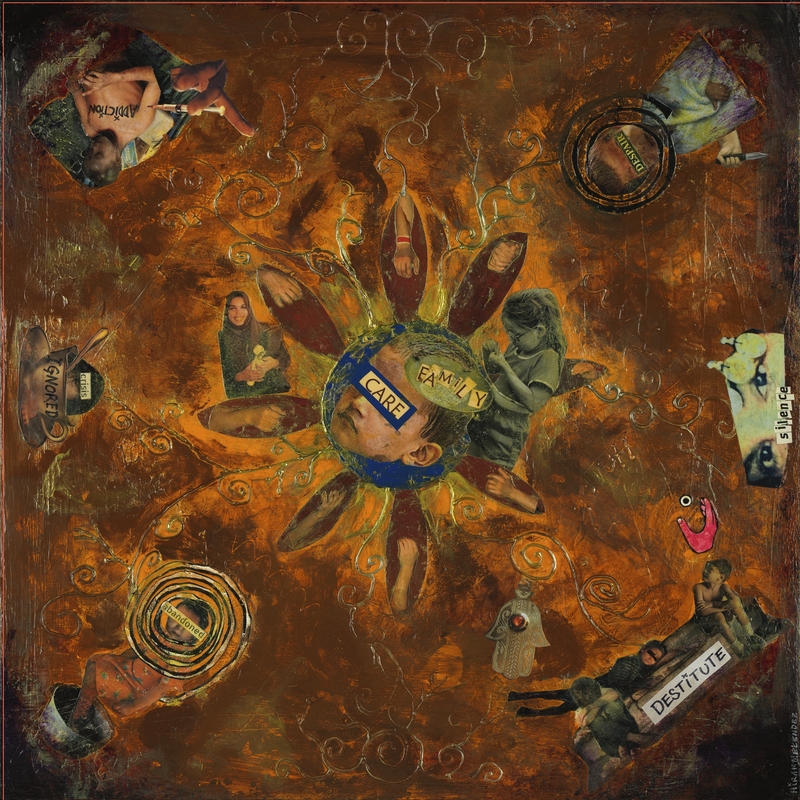 The vicious cycle of domestic violence was quite evident in this community. Many of the women felt it was necessary to involve the men in the community awareness initiatives centered on domestic violence in Bonao. Some of the women suggested a faith-based counseling group for abusers with a local spiritual leader, pastor or priest. They expressed that it was part of the churches responsibility to address the issue of how the church congregants are also abusers of this wifes. Based of the multiple themes that were revealed in this preliminary research study, this researcher considered potential areas for future study. This researcher recommends that future research should focus on the economic empowerment theme that was raised by the majority of the battered women. This form of future research may be helpful for other rural Latino communities that face this universal economic obstacle. Another area of future study can center on how various community stakeholders can raise community awareness on the issue of domestic violence (Johnson, 2003). The application of this future research can greatly affect social change within the Latino community. It can also inform government and social agency policy that is designed for the educational and economic empowerment of various communities. Together one step at a time, we can break the silence and the cycle that have kept so many women and children oppressed by their abusers. With the generous support of Social Changers without Borders and the wonderful support that Dr. Caban-Vazquez and her research delegates received, they were able to set a course for a second year of research and technical support. 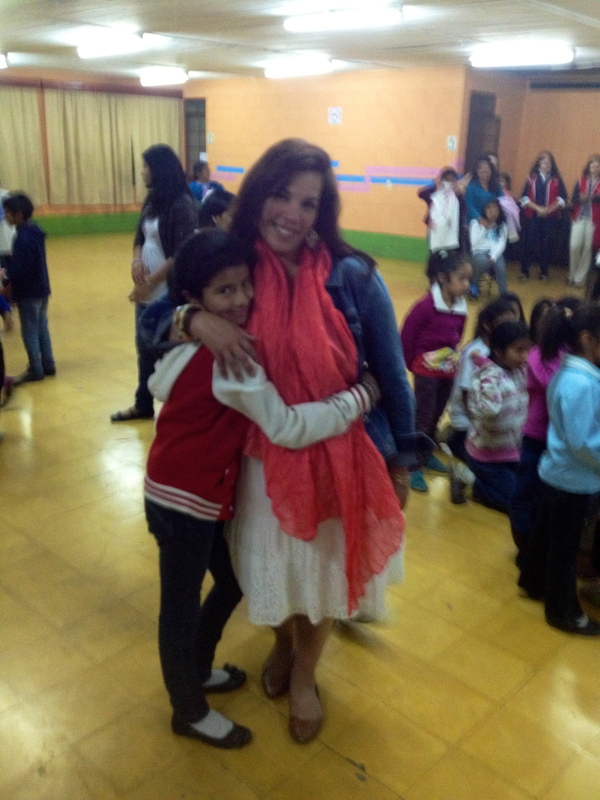 This lead researcher and her team traveled back and worked with a core group of the battered Latinas in Bonao. Using a secure lottery system, 10 out of the 50 women studied became part of an economic empowerment project that will serve as a pilot for the 2013/2014 study. With this plan, they will be able to directly help 10 of the 2012 research participants. These women will become part of a Self Help Group (SHG) that will create a School Uniform Cooperative (Davies, 2001). 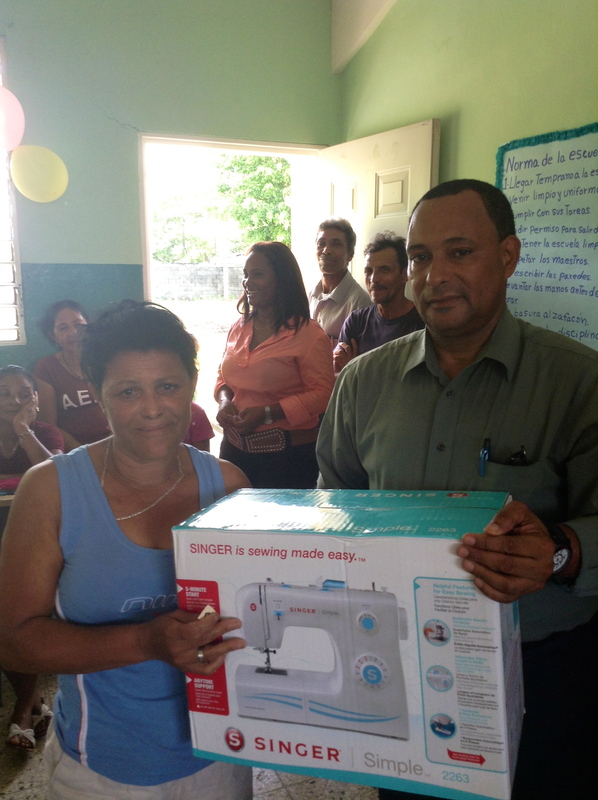 This economic empowerment project will enable and equip the domestic violence survivors to sew and sell school uniforms in and outside of their small town of Bonao, DR. This technical support is a direct result of the key findings shared by the victims of the study. The goal for offering this empowering self help group model is to ultimately release the women from the oppressive and economic hold of their abusive husbands or domestic partners (Allen, 2004; Rios, 2007). Research findings from the 2012 study showed that many of the women selflessly remained with their abusers to better improve their children’s odds of remaining in school. Since the men were the sole decision-maker in managing finance, the women feared that they would struggle to purchase the costly school uniforms without any career training or employment options. This summer, our direct technical and economic support drastically empowered many brave women to take hold of their destiny and develop a school uniform micro-enterprise. As a result, they will now gain the economic leverage they need to provide their children, and ultimately their community, with a vital educational resource and opportunity. Research-proven methods on effective practices and training will inform the direction of this rural community-based project (Perkins, 2006; UN, 2001). 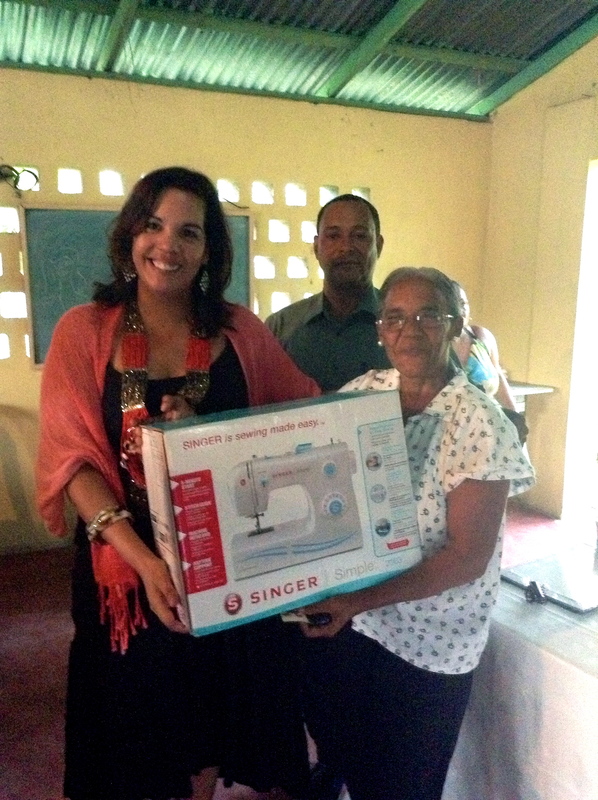 The women will receive certified training from a team of seamstresses in the field. Furthermore, they will receive support from local merchants to sell and promote the women’s school uniforms. The lead researcher’s vision of expanding this initiative can be supported by proceeds from additional fundraising events. This may offer the women an opportunity to establish an apprentice program wherein the study participants will “reach one…and teach one”. Dr. Caban-Vazquez recognizes the great potential of replicating this form of empowerment work across many Latino rural communities. The findings from 2013/2014 economic empowerment pilot will help to establish field-tested and proven strategies for developing sustainable community outreach. 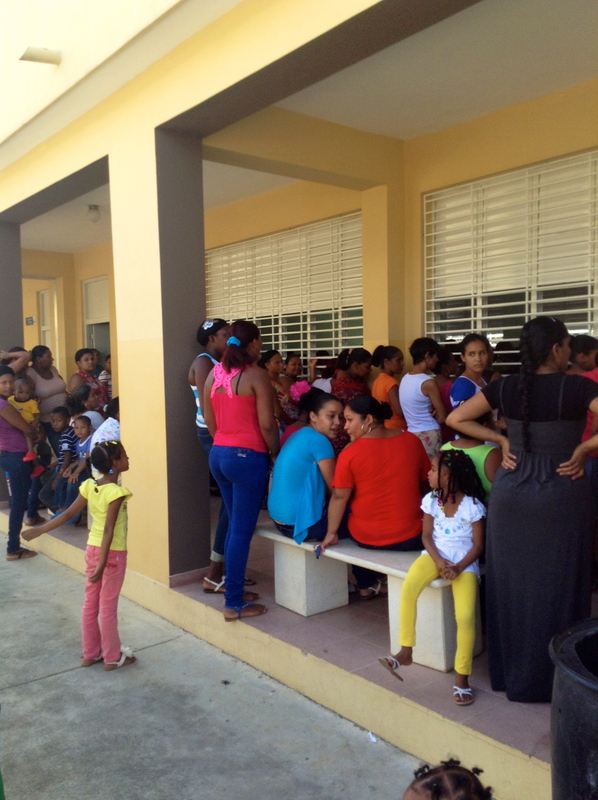 Our community outreach efforts reached approximately 800 women across different hamlets in the Province of Alta Gracia in the Dominican Republic. It was an honor to be greeted by hundreds of women as they sought advice on dealing with the epidemic of domestic violence in their communities. TOGETHER WE CAN BREAK THE SILENCE…AND HELP BREAK THE CYCLE OF DOMESTIC VIOLENCE. When we empower a battered woman to break free from the cycle of domestic violence…we empower a community to break the silence and say NO MORE. THE SEED OF HOPE: Last year, Doctora Vazquez was on a mission to raise awareness against Domestic Violence. 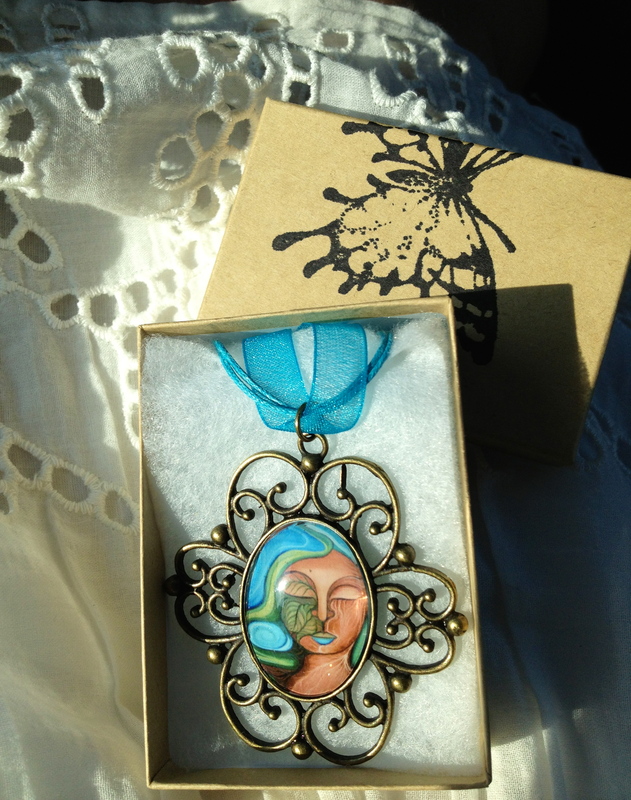 Vilma wanted to commemorate her brave mother Maria, who was a victim of domestic violence and lost her battle with colon cancer on April 2, 2012. 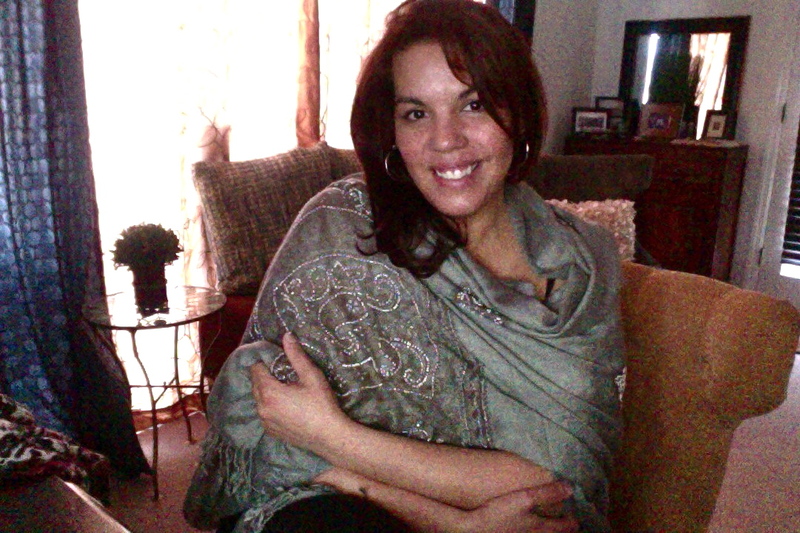 Her strongest desire as an advocacy researcher was to plant seeds of hope and positive social change to stop domestic violence in the Latino community. A great deal of coordination and international collaboration was necessary to make the following Latina domestic violence research study a reality. The lead advocacy researcher, Dr. Vilma Caban-Vazquez, would like to acknowledge all those whose support and contributions helped to launch a preliminary domestic violence research study in August of 2012. Subsequently, this practitioner-researcher is extremely grateful for all of the altruistic individuals whose perpetual support, via auxiliary resources and expanded community networks, abetted and nurtured her dream. With their support, Dr. Caban-Vazquez was able to develop a research-based action plan to offer more technical support to the battered women that she studied in August of 2012. First and foremost, the remarkable support of her faithful friend and fellow humanitarian Loida Pujols (former United Nations Consulate General to the Dominican Republic, 2000-2004) as well as Loida’s noble and supportive husband Albert Peña helped the lead researcher Dr. Caban-Vazquez achieve her dream of establishing an advocacy footprint in Latin America. Loida and Albert reached out to their network of close family and friends and rallied support for this humanitarian cause. 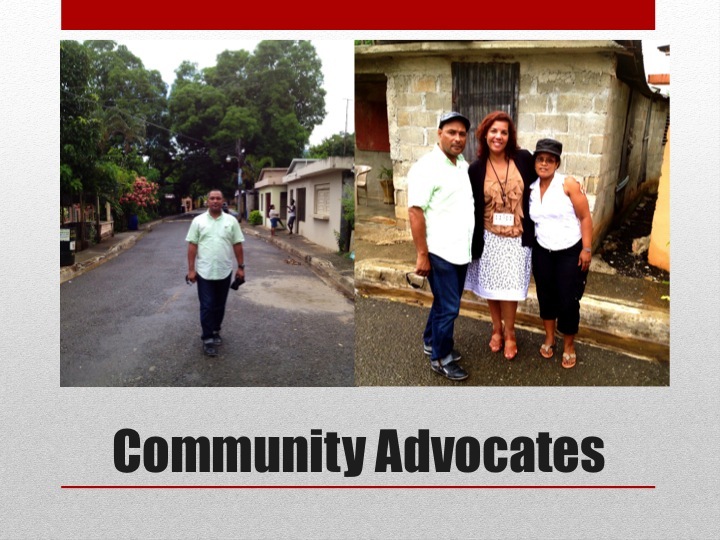 Dr. Caban-Vazquez is extremely grateful for their community service and assistance. OPENING DOORS FOR CHANGE IN THE DOMINICAN REPUBLIC TELEVISION & RADIO COVERAGE Consequently, a close childhood friend of Mr. Peña, former Councilman Victor Manuel Bastista, played a pivotal and instrumental community role in serving both as a representative of this initiative in his small rural town of Bonao, as well as one of our strongest rallying supporters. In solidarity and support to this domestic violence cause, community advocates Mr. Pena and Mr. Batista locked arms to serve as advocates and shared voices for community change by coordinating various domestic violence conferences in numerous faith-based and educational venues. They were quite resourceful in their outreach and traveled across different towns and villages to network with various community stakeholders. They submitted press releases to various regional news media. As a result, news coverage about the domestic research project was shared with the Hortensia Magazine, which was based out of the capital of Santo Domingo. 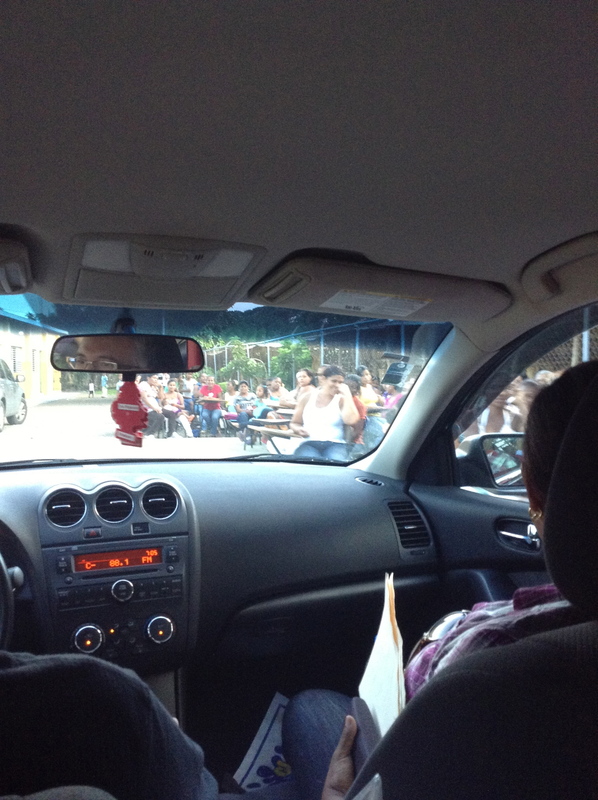 Furthermore, they reached out to the local television program “En Familia” and fortunately they gained a community news slot wherein they reported news of the upcoming events on Bonao Television, Channel 12 (http://www.bonaotv.com). Their resourceful outreach efforts encouraged local women to attend the domestic violence conference as well as extended an invitation to consider being a part of the research study. Thanks to their noble efforts, over 50 participants attended the domestic violence awareness conferences and educational workshops. 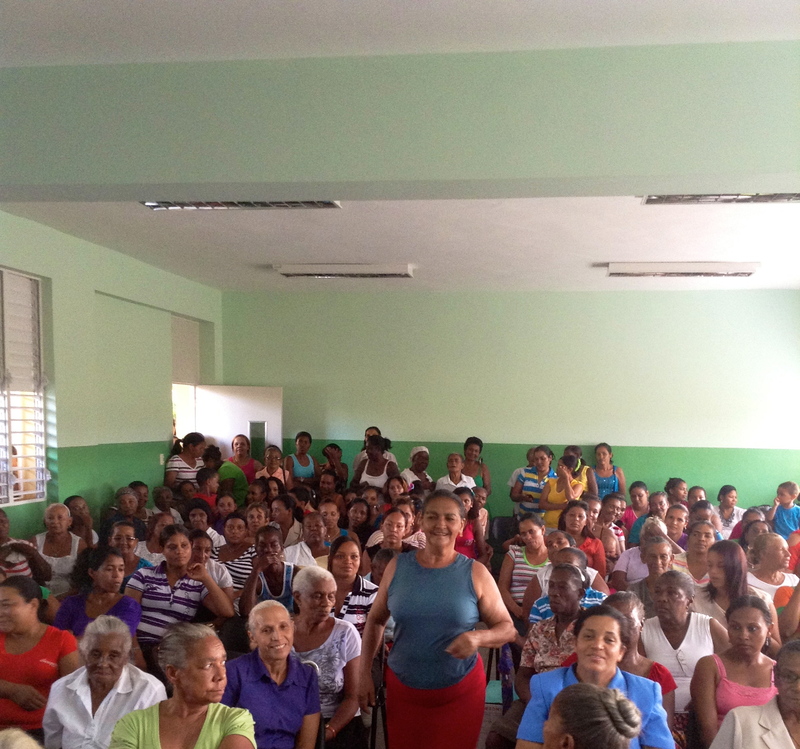 Eventually, the editor of the Hortensia Magazine traveled from the capital Santo Domingo to observe the large group participant research discussions. As a way to demonstrate her support, she wrote a feature article about the lead researcher and the merit of this study and her efforts (Appendix A). Using various informational platforms, Mr. Pena and Mr. Batista helped to raise community awareness about the prolific rate of domestic violence in the Dominican Republic. Dr. Caban-Vazquez is immensely grateful for all of their outreach. She was inspired by their natural leadership abilities to tenaciously mobilize a much-needed service to their community. Their campaign action plan was to bring the issue of Domestic Violence to the forefront of Bonao’s community economic agenda. This was an extremely viable outreach strategy. The ultimate goal of involving several philanthropic community agents, faith-based organizations, educational institutions, telecommunication organizations, as well as town and provincial legislative leaders would help pave the way. In due course, their proactive stance could help the victims of domestic violence by opening potential lines of future funding and community support. MEETING WITH THE DOMINICAN REPUBLIC SENATOR: In addition, the lead researcher particularly extends her greatest appreciation to Senator Amable of the Alta Gracia Province in the Dominican Republic. This distinguished public servant, welcomed the lead researcher and her research team’s arrival in the midst of his personal holiday. He received the delegates assigned to this research task with such genuine warmth, and enthusiasm. 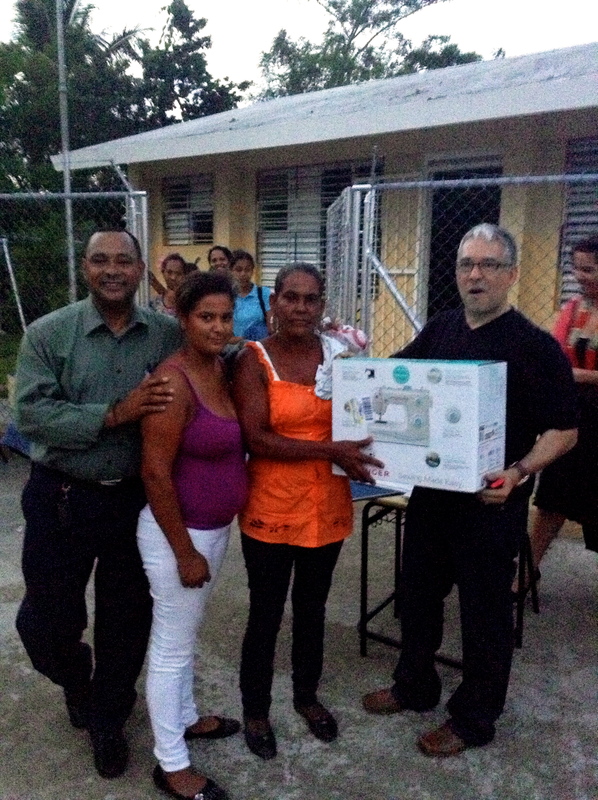 Senator Amable’s willingness to assist the team in any way possible to achieve a successful preliminary research study indicated his level of commitment to his battered constituents of Bonao, Dominican Republic. With their joint and dynamic efforts, this compassionate international team of community advocates helped to bring the epidemic community issue of domestic violence to light. Moreover, with the collective endeavors of current and former United Nations staff and volunteers, over time The Latina Project: Breaking the Cycle…Breaking the Silence research project became noteworthy news outside the small town of Bonao. As such, prior to launching the economic empowerment project, Dr. Caban-Vazquez will travel to Geneva, Switzerland to confer with the United Nations Dominican Republic Ambassador as well as meet with the United Nations Dominican Republic Ambassador stationed in Santo Domingo. As an advocacy researcher, she will apprise the UN dignitaries of the status of the research project and her goal of presenting research findings and the implications of this research at the 2014 World Humanitarian Conference in Geneva, Switzerland. 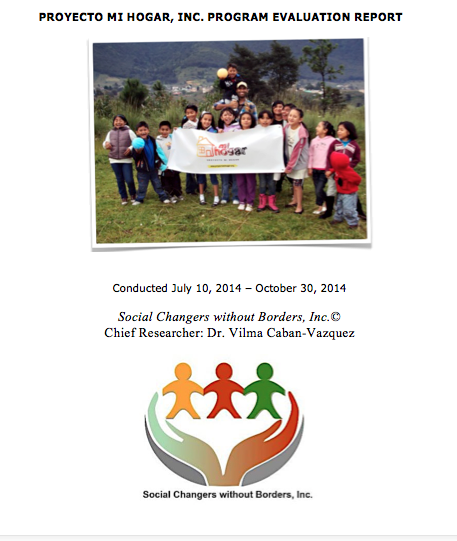 SOCIAL CHANGERS WITHOUT BORDERS, INC. A special thanks goes to Dr. Caban-Vazquez’s fellow executive board members of the humanitarian research organization Social Changers without Borders, Inc. (Appendix B). Their belief in Dr. Caban-Vazquez’s humanitarian research capabilities and their support nurtured her idea for this advocacy research study. She is proud to be an active member of this outstanding organization. LOVING CIRCLE OF FAMILY & FRIENDS Dr. Caban-Vazquez is eternally grateful for the generous support she received from a loving circle of intimate family and friends. After the lead researcher did an extensive literature review of viable empowerment strategies for battered women, she recognized the strong potential for making the greatest impact in the lives of these abused women. Subsequently, she rallied for financial support with the Friends Against Domestic Violence fundraising website at at http://www.gofundme.com/VIOLENCIA-DOMESTICA (Appendix D). PURCHASED MATERIALS FOR THE ECONOMIC PROJECT SCHOOL UNIFORM COOPERATIVE: This community grassroots initiative helped to secure a modest portion of funds. 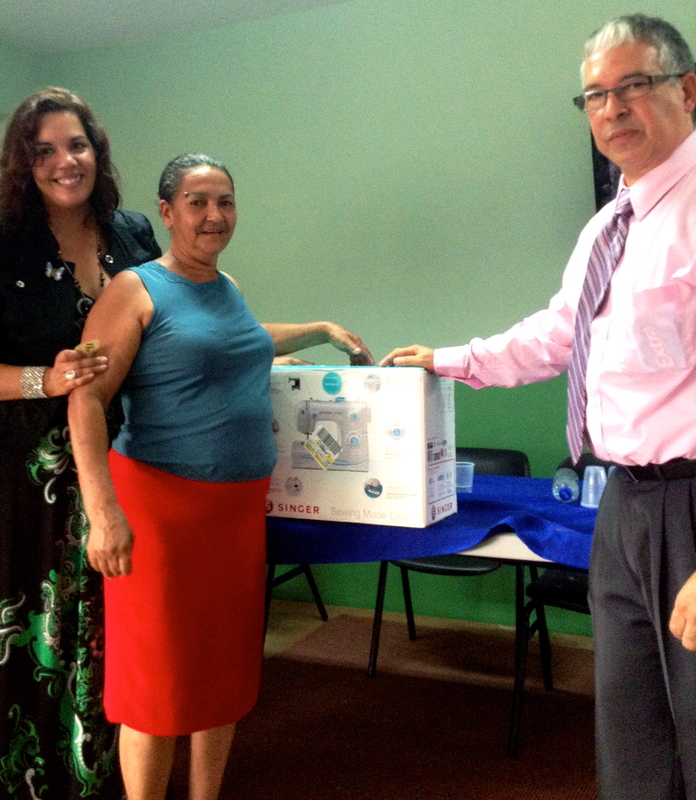 As a result, with the additional financial support of Albert and Loida, the researcher was able to purchase 10 sewing machines and secure the safe shipment of those machines. 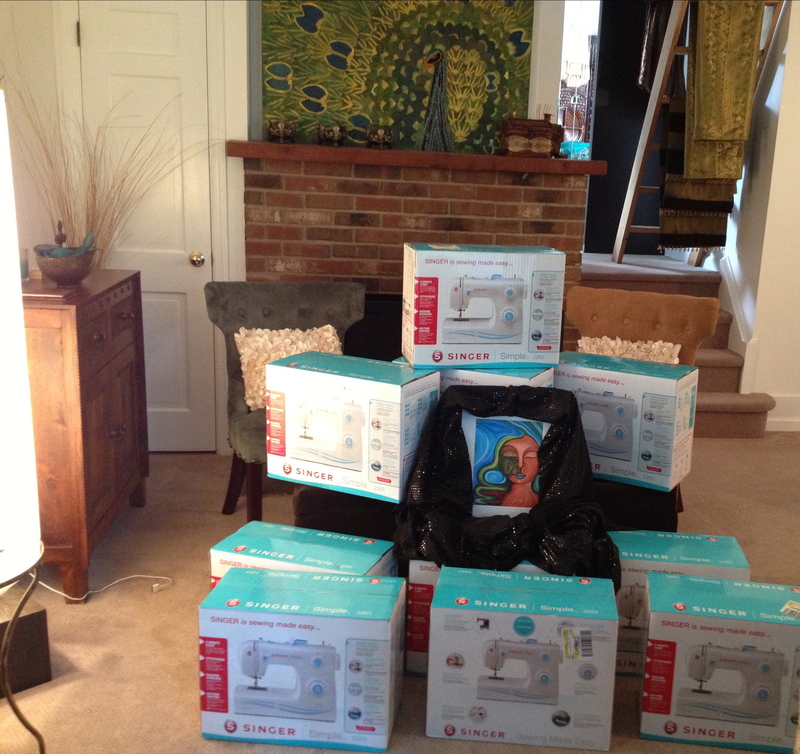 In addition, monies raised helped to purchase the bulk of the essential seamstress tools needed to economically empower the domestic violence survivors. A compassionate circle of friends saw the collective power of this economic empowerment vision and they worked together to establish a toolkit for the success of this school uniform cooperative. 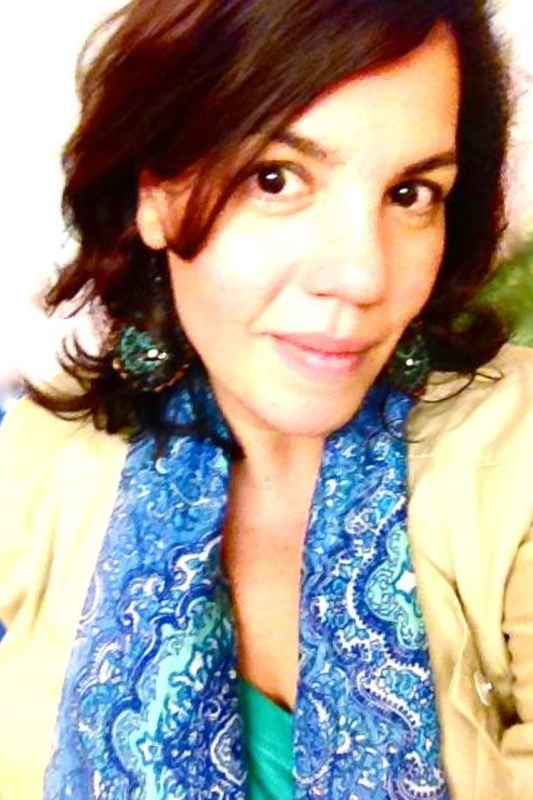 Dr. Caban-Vazquez keeps her dedicated group of supporters updated on the latest developments of this work using her research blog at http://doctoravazquez. wordpress. com (Appendix E). Last but not the least, she wishes to thank her supportive son Christopher for his encouragement in pursuing her research dreams. 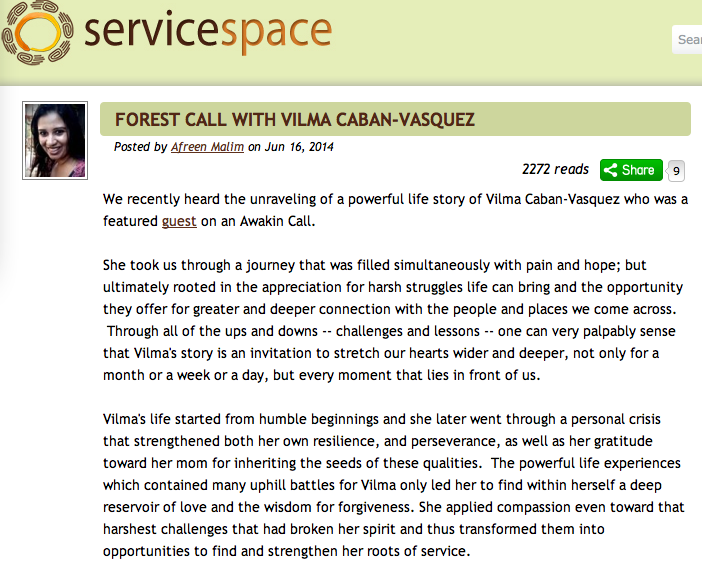 Vilma values his endearing token of support and love in helping her create positive social change for battered women. In the spring of 2013, Christopher served as editor-in-chief of his college newspaper and he invited his mother to write an informational article about this topic. It meant the world to her. Lastly, without the love and support of her Heavenly Father this would not be possible. 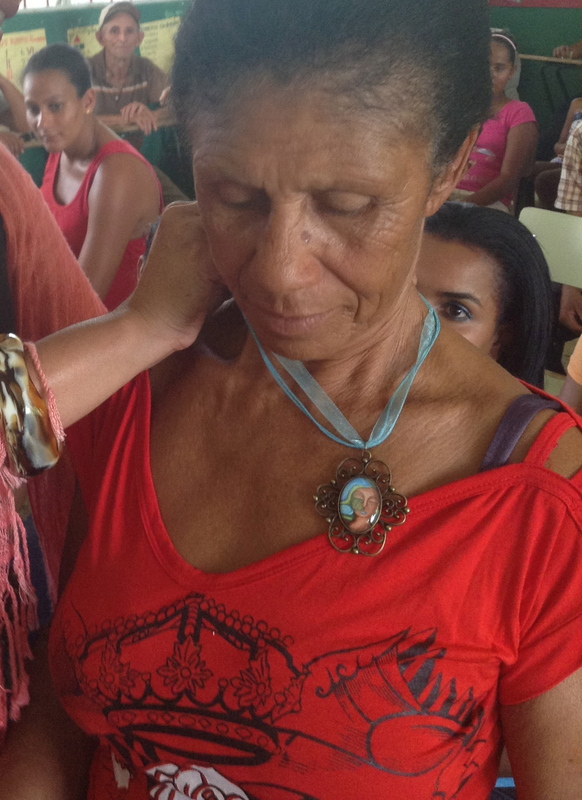 She firmly believes that her creator is celebrating the fruits of this community labor with Vilma’s beloved mother. Without the love of community, this form of collective social change endeavor would not be possible. TOGETHER…we can all encourage a culture of positive social change for the survivors of domestic violence in this Latino community. Please ask yourself what you can do or contribute to this cause. Please consider making a donation to this worthy cause. When we empower a woman…we empower a community. Social Changers without Borders, Inc.
VICTIMS OF DOMESTIC ABUSE HIDE BEHIND A MASK PORTRAYING TO THE WORLD THAT EVERYTHING IS PERFECT IN THEIR LIVES & RELATIONSHIPS. LET’S EMPOWER THEM TO REMOVE THEIR MASKS… AND REVEAL THE TRUE SURVIVORS THEY CAN BE…FREE FROM THEIR ABUSIVE PARTNER!!! ALL PROCEEDS WILL SUPPORT AN ECONOMIC EMPOWERMENT PROGRAM SERVING THE PARTICIPANTS FROM A DOMESTIC VIOLENCE RESEARCH PROJECT (SUMMER 2012). 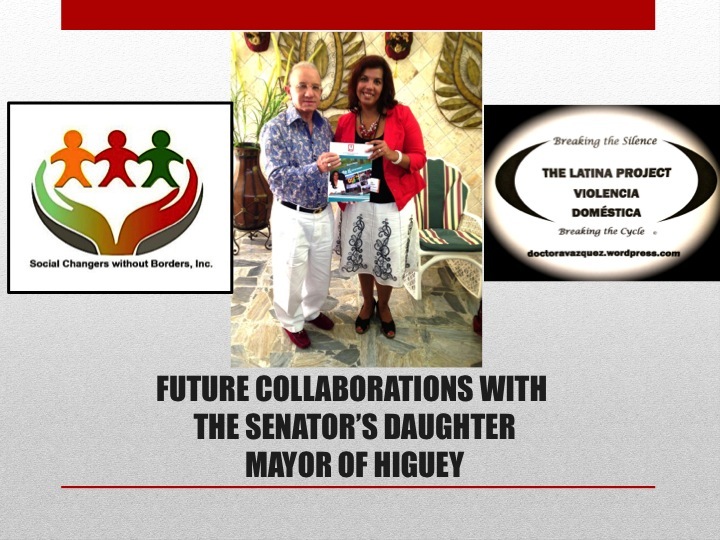 THE LEAD ADVOCACY RESEARCHER WAS DR. VAZQUEZ AND THE WORK WAS SUPPORTED BY SENATOR AMABLE OF ALTAGRACIA, FORMER CONSULATE GENERAL LOIDA PUJOLS, AND THE HORTENSIA MAGAZINE IN THE DOMINICAN REPUBLIC. 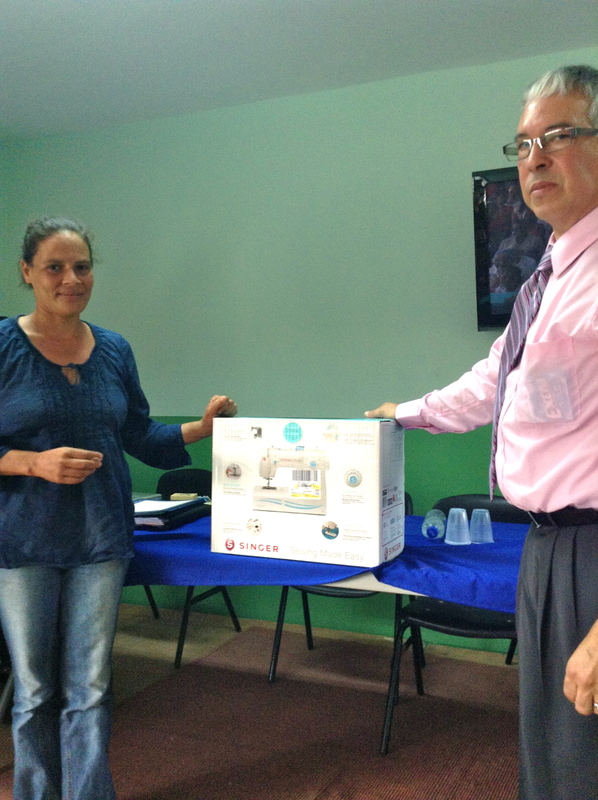 THIS ECONOMIC EMPOWERMENT PROJECT WILL SUPPORT DOMESTIC VIOLENCE VICTIMS LOCATED IN THE RURAL TOWN OF BONAO, IN THE ALTA GRACIA PROVINCE, WITHIN THE DOMINICAN REPUBLIC. The research participants will become part of a Self Help Group (SHG) that will create a School Uniform Cooperative. 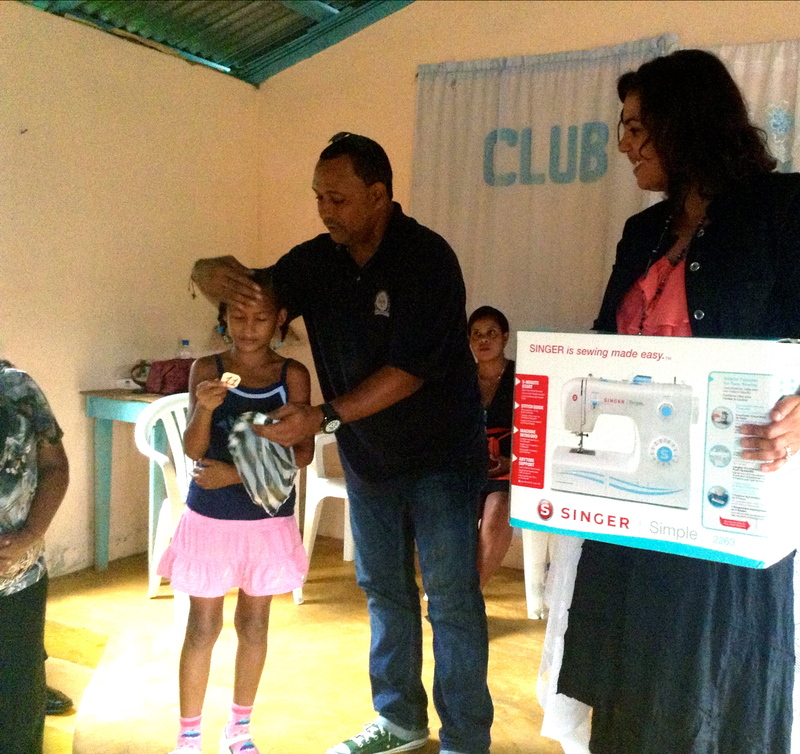 This economic empowerment project will enable and equip the domestic violence survivors to sew and sell school uniforms in and outside of their small town of Bonao, DR. Proceeds from this fundraiser will help the researcher acquire the materials needed to launch this economic empowerment project…which will ultimately release the women from the oppressive and economic hold of their abusive husbands/ domestic partners. Research-proven methods on effective practices and training will help shape the direction of this community-based project. The women will receive certified training from a team of seamstresses in the field and they will receive support from local merchants to sell and promote the women’s school uniforms. 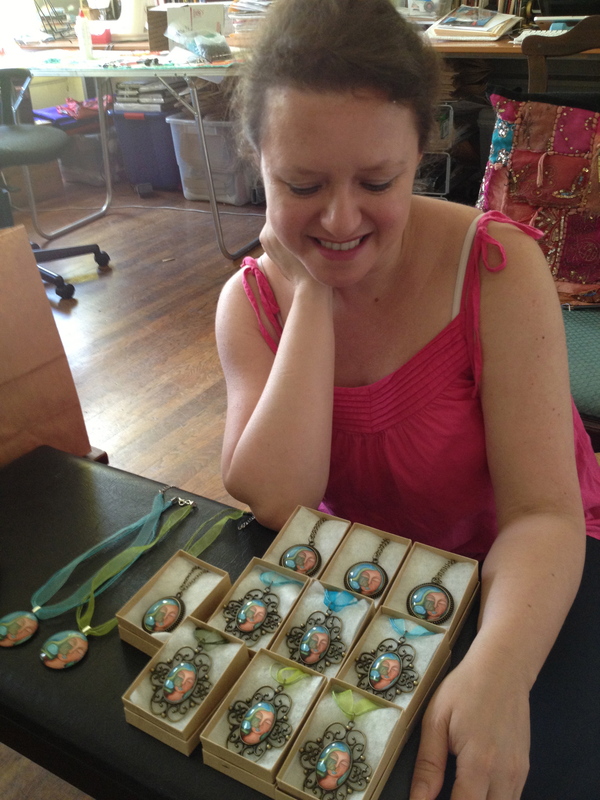 Proceeds will also help to fund an apprentice program wherein the study participants will “reach one…and teach one”. The ultimate goal is to replicate findings from this study in other Latino communities where women face the struggle of domestic violence within their rural or small urban settings.